Reaching leadership and excelling in executive levels requires a new set of skills, all of which need to be mastered over the course of your career. At The Forem, we demystify these skills and use Executives, Coaches and PhD’s to teach workshops and lead one-to-one executive coaching, ensuring your success. Our curriculum is called, ”The Five Critical Skills”. 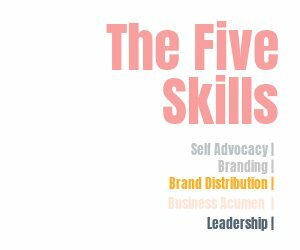 The Five Critical Skills is offered to both men & women, primarily through corporate workshops targeting emerging leaders. We teach emerging leaders how to navigate an organization and become subject matter experts of their own career. The Five Skills is developed and taught by our CEO, Alli Young, a 20 yr Tech Executive and former Google Leader who demystifies the steps required to lead. Get farther, faster by investing in new skills that will help you discover the career you love and impact you deserve.